If you've read this blog before, you know how much I love the music. In fact, love may be an understatement: the show simply would not be the same without the feature film-quality scores that are heard throughout the series from beginning to end. I was born with perfect pitch, so I can't help but be extra attuned to music, and it just so happens that this show has my favorite music of any show that I've ever seen. When you combine that with the show's adventure and the sensitive hero with a conscience, it's no wonder that 10 year-old me felt like this show was created just for him. But enough about me! Along with Randy Edelman and Dennis McCarthy, Ken Harrison is one of the big 3 when it comes to MacGyver music. Starting in Season 3, he worked on 46 episodes (one-third of the series), and his impact was immeasurable. Mark and I asked him a few questions, and he was kind enough to share his thoughts. NS: I'm interested to know more about the timeline and mechanics of a typical episode shoot. I'd imagine you get the script a certain number of days or weeks ahead of time? Then what was your process to go from the script to the finished product? Are you on set and talking to the producers and directors? Or is the episode complete and then you add the music back in? And did you have an orchestra at your disposal? KH: OK - it is quite a process. They usually have a 7-10 day shoot. I only received scripts or requests to be on set if there was any music playback on set or pre-recording involved. I usually saw an episode after it was LOCKED and ready to post. A work print. Both the sound editor and composer would work from this print. I would attend what is called a SPOTTING SESSION. In attendance would be the music editor, producer, associate producer and sometimes the director. We would then discuss music placement and talk concept at that time. I would then have approx one week to compose the score. 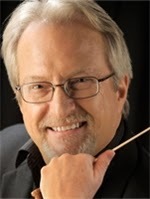 Prior to 1991, orchestras were hired per session depending on orchestration needed. I did select the orchestra and gave the breakdown to the orchestra contractor who made the calls. The two MacGyver Movies in the 90's were both shot in England with Richard Dean producing. They looked fabulous and that score was 70% electronic and sweetened with 15 live musicians in Vancouver BC. THAT was a fun time. I have written an excerpt from that score for our local symphony orchestra. MacGyver ended before all episodic TV went electronic. It happened over night. Within 12 months, the only live orchestra used for underscore was STAR TREK. A talented music community died quickly. NS: Tell me about your creative process - how do you come up with a theme? KH: No clue. That is the magic. Prior to starting a score, I do try and listen to similar styles by some of my favorite composers to get the juices flowing. It just happens. I was fortunate enough to work on series or movies that required different music all the time. So it forced me to learn many styles of music. I started composing for Fantasy Island. EVERY week was a different adventure. A different opportunity to learn. I even had to write Mermaid music!! That was different. MH: Were there any episodes or individual musical scores for MacGyver that you remember most fondly or are most proud of? KH: There were several. I loved the westerns. Rick loved westerns as well. That is why we did LEGEND after MacGyver finished. But there were some episodes that made me stretch and challenge myself musically - PASSAGES, GOOD KNIGHT MACGYVER, HARRY'S WILL ( music was fun) THE COLTONS - ( again, music was different than the norm for the series) and the two Mac Movies - TRAILS TO DOOMSDAY and TREASURE OF ATLANTIS. NS: Just to name a few, I think your work on Good Knight MacGyver, Passages, Bitter Harvest, and The Stringer was particularly distinctive and memorable. I love the Good Knight MacGyver score. I wrote a book in which some of it takes place in a medieval castle, and as I was writing that part, your theme just echoed through my head the entire time - it fits the mood perfectly. KH: I am glad I gave you inspiration. Again, the magic of music at work. MH: You began working on the show in Season 3 when it moved to Canada. When it moved back to L.A. in Season 7, was the work arrangement like there - did you move to L.A. also? KH: I was living in LA at that time. I was only going to do one episode as I was just getting off Matt Houston - a Spelling action cop show. TONS of notes and music per episode. I was tired. However . . . . I got sucked into to a great group of people who actually respected and cared for each other. The cast, crew and production staff were like family. And it showed on the air, didn't it?? When it went back to LA - I believe we still recorded the score in Vancouver with the exception of one episode - I did that electronically in my home studio here in Washington State. I moved here in 1991. NS: More of an open-ended question, but what do you remember most about the show? KH: Just the "team effort". Everyone tried to show up on the dubbing stage to support their contribution, whether it was music, writing, sound effects, special effects. Again, we were a team. It was rare. I believe one who had the opportunity to work in this business for a number of years (23 for me) can count on one hand how many projects had the family or team feeling. I really like hearing about some of the people "behind the scenes," they are the reason we love the show so much, sometimes without our even being able to put our finger on it. As you said, the show wouldn't be the same without the music. Excellent idea to reach out to some of these folks -- thanks so much for sharing! Excellent conversation. I was struck that he remembered as many details as he did about specific episodes. Not knowing much about music composition in general, I'm not entirely sure I get the process he described regarding the "work print" and "sporting session", but I'm all the more impressed by the composer's skill level in crafting original music on such a tight timeline. I'm also too ignorant to know what the transition to all TV going electronic, but whatever the specifics of the change, I haven't been a fan. I can't think of any modern TV shows with an attention to detail in their musical compositions as "MacGyver". One thing I loved about Harrison is that he seemed like he brought original compositions to most of the episodes he composed. Dennis McCarthy had some great material but he recycled a good share of his stuff episode to episode, whereas Harrison and Edelman had new stuff week to week. I watched a few episodes of "Legend" back in 1995 but didn't really get into it and don't remember the music. 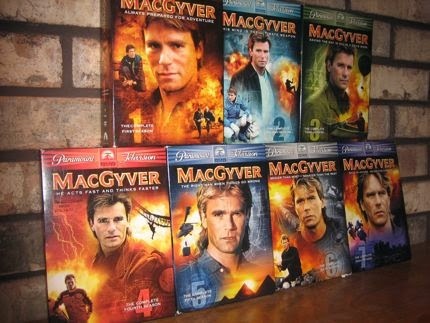 And even though I wasn't a huge fan of the Western episodes of "MacGyver" (and one of them in particular!) I did really like Harrison's music on them. As for the other "MacGyver" episodes he singled out, I always thought "Passages" was his finest work, although I liked all the ones he cited except for "The Coltons", where I can't remember much distinctive music except for one snippet at the beginning which was lifted from "The Gun". Harrison left an immediate impression on me with excellent compositions from his first three episodes in season 3, none of which you've reviewed yet. I'm old enough to remember "Matt Houston"....but not remember if it was any good and didn't know Harrison composed music for it. The show was a very blatant clone of "Magnum P.I." but I do remember watching it Friday nights on ABC in 1984 and 1985. Anyway, thanks much for the interview. Very insightful. Trivia for you.....can you pull out the name for the FOURTH most prolific "MacGyver" composer who did seven episodes for the series, six of which you've already reviewed? Glad you enjoyed it. I didn't quite get everything about the process either. My hunch is that "electronic" means using a soundboard and creating everything synthetically rather than live instruments. I agree on being impressed by being able to create something on such a tight timeline. I've never seriously tried to compose something, but I'd think it would be hard to come up with new things and not just hear what has already been created by someone else. And I have no clue on the other composer - you'll have to give me the answer! As much as I was a fan of the show, I never knew the behind the scenes stuff that you paid attention to, so I hadn't even heard of Ken Harrison or Dennis McCarthy until you mentioned them on the blog. The mystery fourth composer is named William Ross, who joined in the sixth season. I found his compositions far less distinctive than Edelman, McCarthy, and Harrison, but his shining moment is ahead in one of the episodes you haven't yet reviewed. The six episodes he's composed that you've already reviewed are "The Wasteland", "High Control", "Blind Faith", "Trail of Tears", "Hind-Sight", and "Honest Abe". Cool, looking forward to seeing (or hearing) what his shining moment will be. There are some really talented composers in the business today - Christopher Tyng (Suits and Rescue Me) and Jon Ehrlich (House MD and White Collar) to name a couple. Nothing beats the sound of a full orchestra though - it's one of my favorite things about the MacGyver theme music. I'd definitely be interested in watching in it sometime, though I don't have netflix (if it's even on there). Some people at rdanderson.com have been campaigning to get Paramount to release it on DVD since RDA had once said it was his favorite. A well-done interview taking us behind the scenes of the show's musical compositions. Very interesting and great to hear, yet again, what a good show it was to work on and how everyone seemed to get on so well. Congrats on another getting hold of so many interesting participants in the MacGyver story. WOW! I am amazed that you folks know my works better than I do! Bravo. Yes. RDA LOVED westerns. When we did Legend, he was specific in asking me to compose a theme and score in the style of Leo Kotke. SO I did. Another fabulous learning opportunity for me. 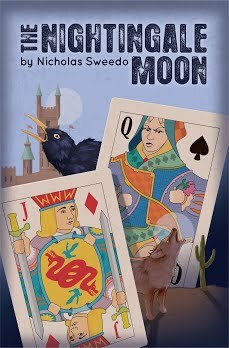 To compose DRAMATIC music in that still - western, comedic, action-adventure, was a blast. Don't feel bad, Mr. Harrison, I believe that Mark knows and remembers more about MacGyver than anyone alive, including those who worked on the show! I hadn't known that RDA loved Westerns but I remember the MacGyver character had some videotapes of old Westerns in several episodes, so that's an interesting parallel. I hope to see Legend someday if it will ever come out on DVD. Thanks much for sharing your insights. And thanks for your excellent work composing for this series! My pleasure Mark. Thanks for keeping the memories alive. Do you see any chance of MacGyver music to be released on CD anytime in the future? It appears that just about every series, no matter how musically uninteresting, has at least some music released. MacGyver in my opinion is one of the most interesting series from a musical perspective, I would say right up there with Star Trek TNG early seasons. I heard through the grapevine that one of the issues is that the music was recorded in Canada and that the record company has no interest in it. I sure hope that will change sometime. Thanks for reading, David. I don't know the mechanics of it but I'm with you - it would be like a dream come true to have the music available on CD. I'd vote for a 7 disk set - one for each season! Many folks have written asking that same question. A Mac CD NEVER happened. When I first started, they were giving us composers copies of the scores on 1/4 inch tape. Then finally went to stereo cassettes. Then DAT tape. I am not sure why it didn't happen. That wasn't a huge concern or interest back then. Some third party companies have done it, but Mac was never picked up. When I have more time - I would LOVE to go through the archives and digitize my scores. It would be a HUGE project, but it would be worth it. I will let you know if I can pull that off. I wish I lived in the Northwest b/c I would volunteer my services! It's great to hear that Ken is considering this for the future. Having said that, this would be a project I would very much be interested in volunteering for, and I do live in Vancouver. Well that would be a dream project if it were possible to get such an opportunity. This isn't an officially lic'd DVD set, and the person doing it only charges for the actual discs, plus a little labor cost, I think (ie: no profit, just cost of materials), but you can get Legend here: http://goldmonkey.com/catalog/product_info.php?cPath=23&products_id=66. It's 'recorded from the TV' quality, which is, of course, the best you'll find until it's released on official DVD - if that ever happens. Thanks, that's good to know - maybe I'll do "The Legend Project" next.